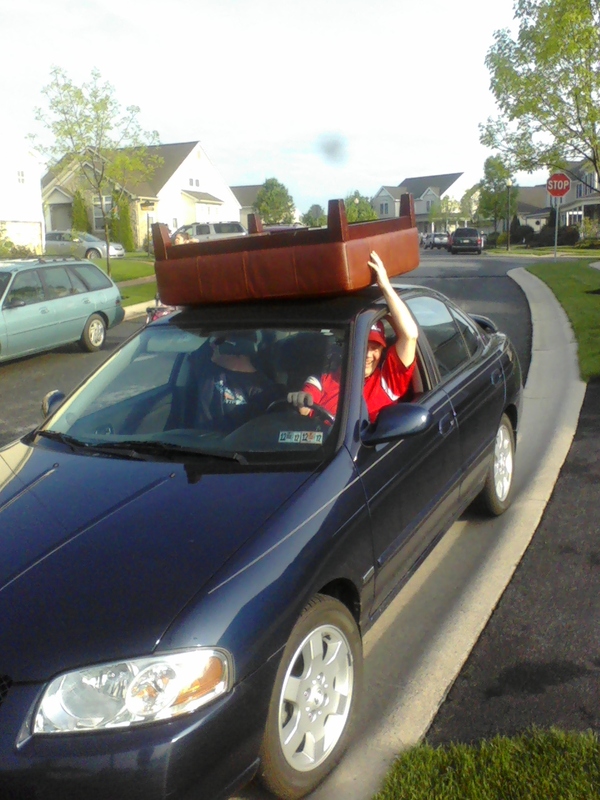 Believe it or not, I'm not a huge yard saler. First of all I'm not into waking up at the crack of dawn to fight over someone else's junk, and secondly...okay, maybe that's the only reason I don't yard sale much. But seriously, where I'm from, there's some hard-core YSers. You see, I live amongst the Mennonite/Amish community where you don't pay more than 25 cents for something. Oh and because they're mostly farmers, they don't mind waking up at an ungodly hour of the morning either. So there they are, elbowing you for a peek inside the 10 cent box when all you want is a hotdog. Very annoying. I don't have time for that nonsense. Plus I'm not a morning person so get outta my face. 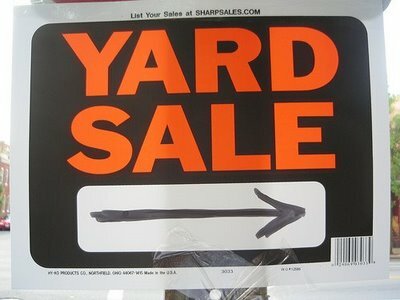 But there is one yard sale that I go to every year. It's the one in my parents' development. (that's a subdivision for all you Mid-westerners) My parents happen to live in a pretty well-to-do community (or right next to one, is probably more like it) and every year these well-to-doers want to get rid of their gently used junk. And they basically give the stuff away. So let me show you what I scored this year. Mitch and I have been looking for a gas grill for quite some time now. I spotted this cute red Weber at the yard sale and after learning that this was a $700 grill and the cover alone on it is $100, I knew it was coming home with me. What I paid? $5. Oh and that's a brand spankin' new tank on there too. Next is this old egg box. I love the rustic-ness of this box. And another cool feature were all these labels on the box. Apparently this box was shipped from Newport, RI to Lenox, MA via railroad. Seriously, how cool is that? I love pieces that have history behind them. 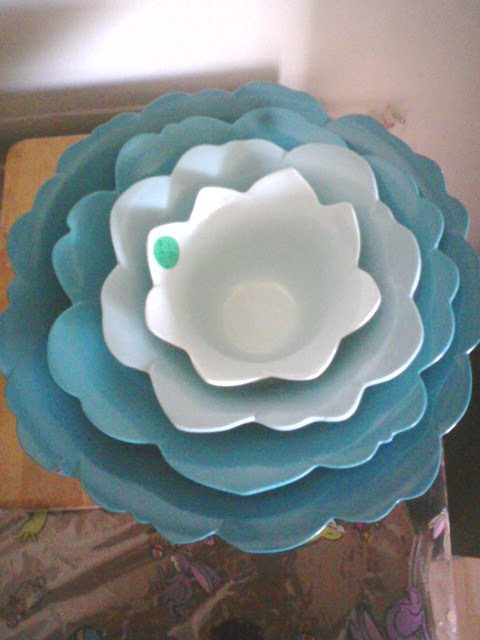 I got my Mom this set of nesting bowls. Aren't they pretty? 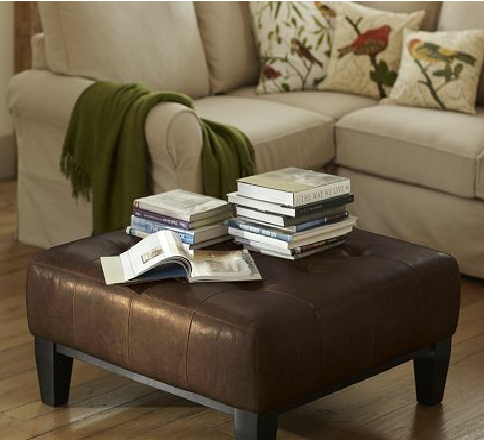 And last up is this ottoman. It's huge. And I'm not even sure if we have a place for it. But I seriously couldn't pass it up for $10. So for now it's just hanging out in our soon-to-be dining area until we find it a permanent spot. I may even Craigslist it. Who knows. Just a couple days ago I was looking at my Pottery Barn catalog and spotted this look-alike. It was a few bucks more though. Like $890 more, that's all. Yikes! But awesome for me. So all in all, I think I did pretty well. We used our grill this past weekend when we had some friends over for a cookout. Works great! Have you found anything good lately at a YS? Great finds! I'm jealous of that egg box. It's so cool! What great finds, esp the ottoman! I wish I could find such amazing things at yard sales. If you get rid of the ottomon let me know!!! I might take it off your hands! That is a fabulous box. And what a score on the ottoman! I really like it and think you should keep it. I'm seeing a nice little tray a top it now, and with your mantel styling skills, you could rock that, Lady.